For Stephanie Roloff, life has come full circle. Roloff, who began her involvement with YWCA of Olympia as a young girl is now serving as the development intern as an adult. 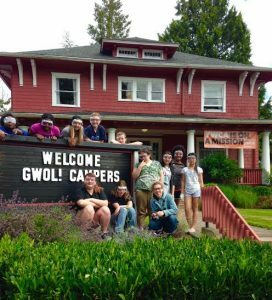 Last fall, as Roloff began her final year studying Journalism Public Relations at Western Washington University, she reached out to the YWCA of Olympia seeking a summer internship opportunity. Although her history with the nonprofit organization dates back to 2004, she thought her chances of getting hired onto their small, hard-working staff were unlikely. You can imagine her surprise when Chief Executive Officer Hillary Soens welcomed her back with open arms. 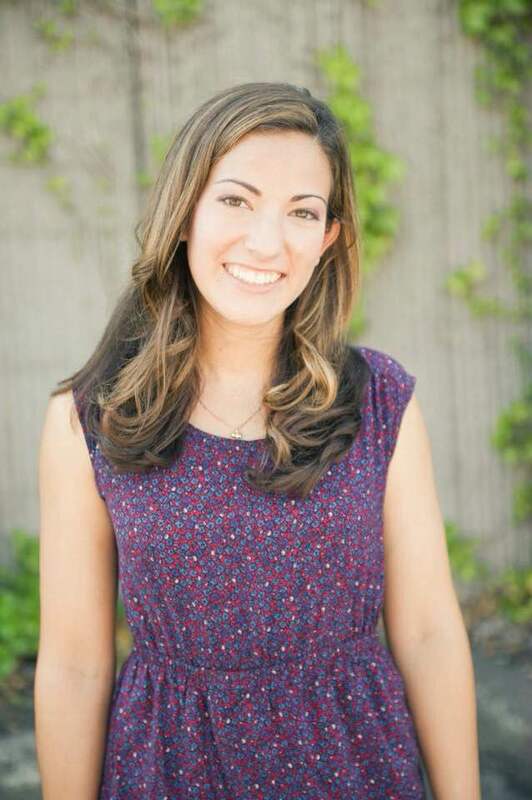 Stephanie Roloff has been involved with YWCA of Olympia since elementary school. Photo courtesy: Stephanie Roloff. One of these programs, Girls Without Limits, focuses on encouraging confidence, community involvement and career awareness among preteen girls – specifically in science, technology, engineering and math fields (STEM). Roloff participated in the camp for three summers in elementary school, then went on to become a junior counselor in middle school. 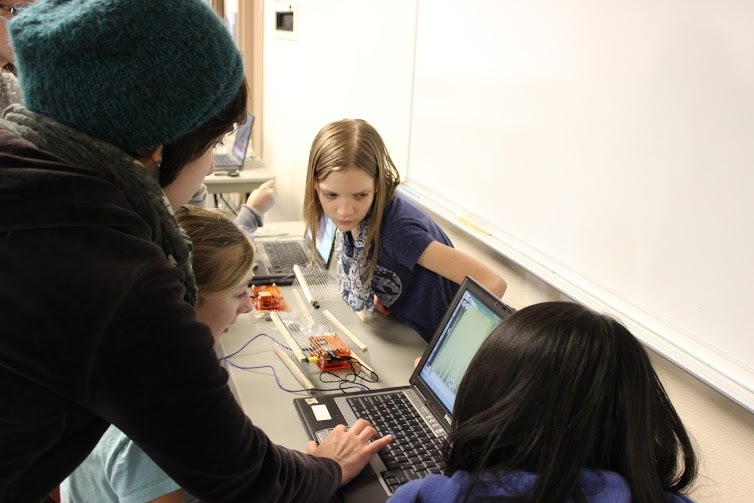 Girls Without Limits strives to give young girls the confidence to pursue STEM field careers. Photo courtesy: YWCA of Olympia. One of her favorite activities from when she participated was volunteering at YWCA’s The Other Bank, which provides toiletries to people in need. She believes the experience sparked her passion for community service. Apart from participating in fun, hands-on, community engaging activities, campers are also given the opportunity to hear from professional business women in STEM fields. 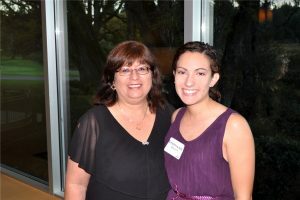 Stephanie Roloff received the Young Women of Achievement Scholarship in 2011. Photo courtesy: YWCA of Olympia. In high school, Roloff continued to volunteer at The Other Bank and the YWCA of Olympia office. She received the Young Women of Achievement Scholarship in 2011 after being nominated by the Girls Without Limits staff. The scholarship helped her earn her Associate of Arts degree from South Puget Sound Community College. She continued her education at Western Washington University, where she remained involved at the YWCA of Bellingham. Now as a Development Intern at YWCA of Olympia, Roloff handles public relations work and planning for some of the events and programs that she used to participate in, including the 23rd annual Women of Achievement Gala. This year the event, scheduled for October 28 at The Washington Center for the Performing Arts, will feature a VIP reception as well as spoken word and music performances. YWCA of Olympia offers two sessions of two week long Girls Without Limits summer camps. Photo courtesy: YWCA of Olympia. According to Roloff, the gala is a chance to honor and give recognition to women who have greatly contributed to the community, whether they are well known or not. The event also includes a word from the honorees, and a “big name” mystery speaker. Last year’s speaker was race and gender activist Naomi Tutu, daughter of social activist Desmond Tutu. Halfway through her summer internship, Roloff feels she has learned a tremendous amount and enjoys working with a team of women. Roloff is set to graduate from Western Washington University in August. She hopes to be able to use her Journalism Public Relations major in the nonprofit world after her time at YWCA of Olympia.